BHP has developed a secure, web based scheduling system that allows BHP contracted providers and programs to offer appointment times to individuals. BHP has three services lines that schedule appointments. Intake Department receiving referrals from Primary Care Clinics. Diagnostic Evaluation Center (DEC) from Emergency Departments statewide. Receive referrals based on your specialization. You determine the number of appointments you set aside weekly, bi-weekly or monthly. You are able to offer appointments at various locations. Your Administrative Assistant is able to help manage your appointment offerings. You will be notified if an appointment is scheduled or cancelled. You are able to remove unscheduled appointments at any time. You are able to set up recurring appointments. You are able to provide special instructions for your new patient and notify BHP staff of your special instructions. Supervisees (individual clocking hours toward licensure) are able to set aside appointment times under your supervision. You provide appointment attendance to BHP. Click HERE to log into SchedulR. 1Can a provider use an appointment offered to BHP on SchedulR®? Yes. BHP is unable to guarantee that appointments in the SchedulR® will be used, although every effort will be made to do so. Providers are able to delete appointments at any time, provided the appointment has not already been scheduled by BHP and the open time is deleted from the SchedulR®. 2When are good times to offer appointment openings? Generally morning, evening, and weekend times are requested by patients. We also suggest using times convenient for your schedule, such as a documentation hour and/or end of the day. 3Can providers offer appointments at multiple locations? Yes. Providers can offer appointments at numerous locations, but each location must be on the Access Request Form, and the provider must be in the BHP network at each location. New clinic locations can be added in the future by submitting an updated Access Request Form. 4What if a provider receives a referral that is not appropriate? Please contact the person listed in the email notification at the phone number provided, and they will assist you. 5What should I do if I have technical difficulties, or have questions about SchedulR®? If a password has been forgotten, users are able to click the ‘Forgot Password/Reset Account’ link to reset their password. BHP network providers and programs may request access for the SchedulR® by completing the Access Request Form located above. To become a BHP network provider, please review our Network Provider Information. 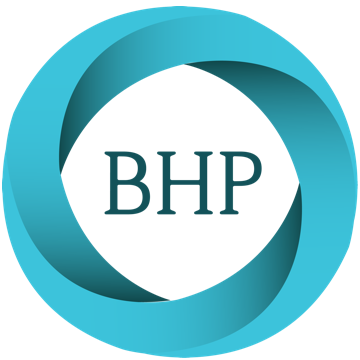 For more information you may contact us via email at webapps@bhpnet.com.